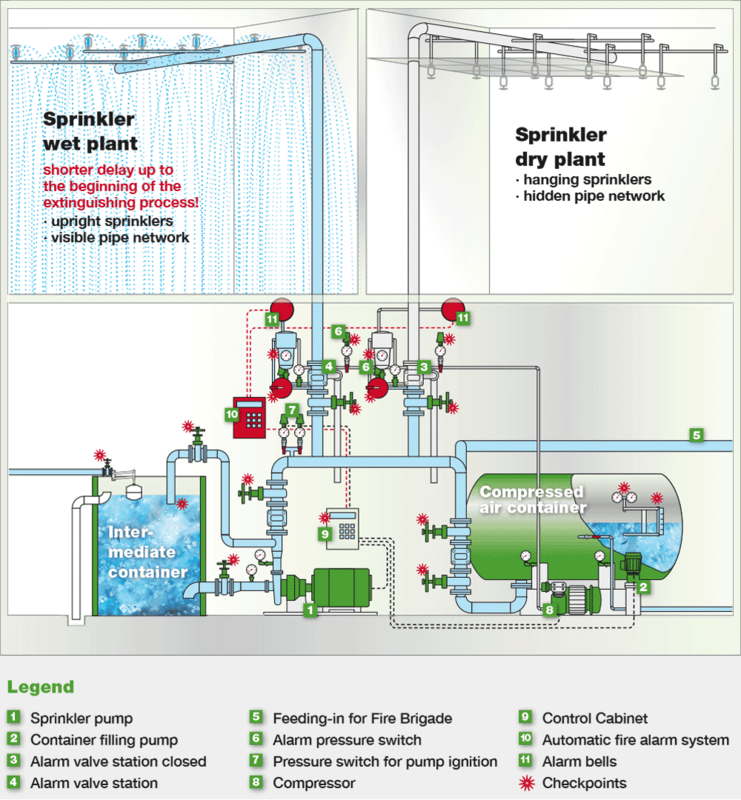 Spray deluge systems and water spray systems are used in areas where there is a risk of rapidly spreading fires. In case of fire, these extinguishing systems expose the protected object rapidly and extensively to extinguisher water. In addition, they are also particularly suitable for cooling items that are very sensitive to heat or highly flammable. The VdS spray deluge systems of G&S Group are installed according to the VdS guideline or DIN 14494. 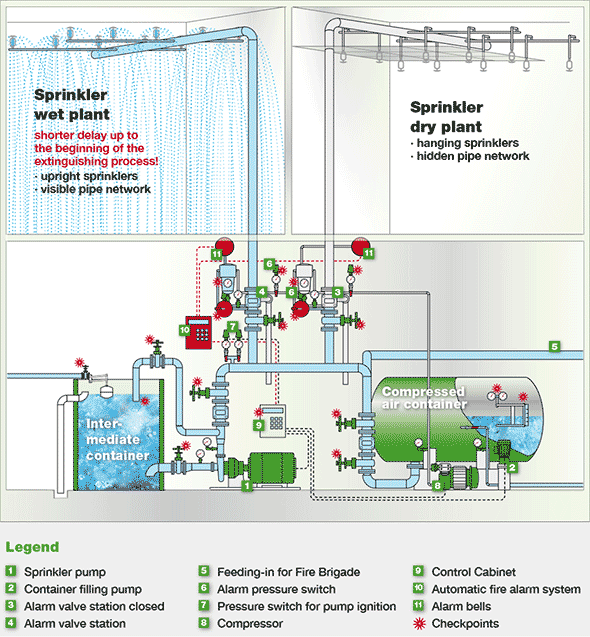 Spray deluge systems are generally used for property protection and to prevent rapidly spreading fires. Facilities that are subject to particular risks are protected over large areas with water spray or subject to preventative cooling. The extinguishing nozzles are usually targeted at the object. The cooling and radiant heat reflective properties of a water spray system and cleaning flue gases in the event of fire also make it highly suitable for excellent personal protection. The K-factors (l / min at 1 bar) of a spray nozzle can vary greatly. The droplet size may also be relevant depending on the application, the higher the pressure the smaller the droplets. 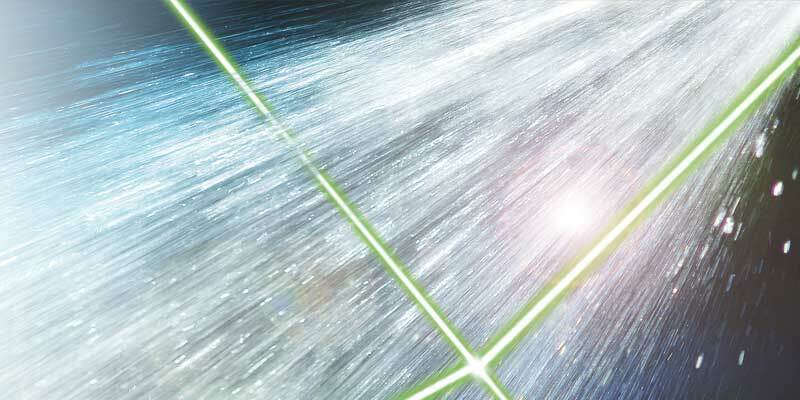 The plant technology of spray deluge systems basically corresponds to that of a sprinkler system. The key difference: All nozzles are open in the case of water spray extinguishing systems. The system is triggered manually or using a tripping system such as fire detectors or tripping nozzles which are arranged in the protected area or close to the object, and control the remote control valve station in the event of fire. The extinguishing fire water distribution is adjusted by the number, size and spray characteristics of the nozzles on the objects and areas to be protected.